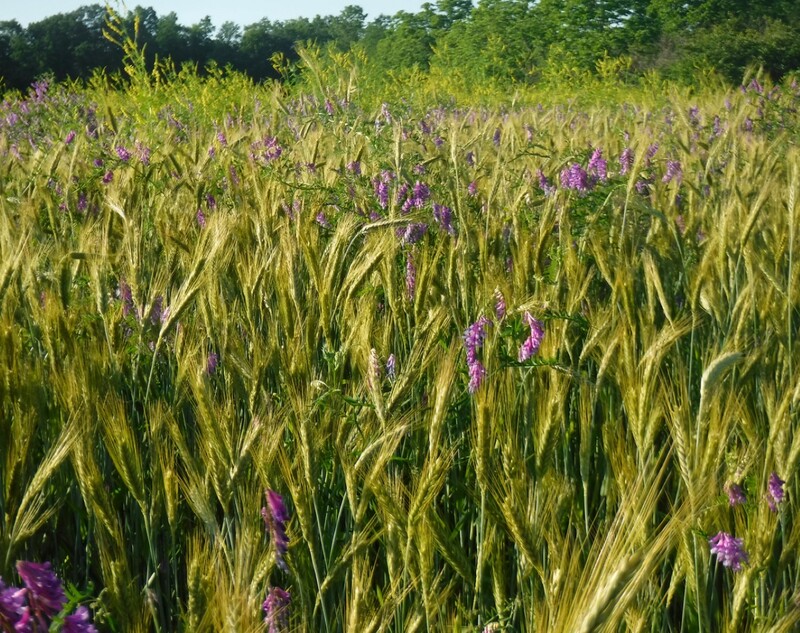 A cover crop of barely, hairy vetch and sweet clover are maturing in Fayette. This scene is rare because these cover crops ordinarily are worked in by June. Due to the wet spring getting a plow on this field wasn’t possible. The afternoon light caught the barely awns nicely in this photo. Cover crops have become increasingly common, as a method of soil stewardship, among farmers in Seneca County. Raising barley has also become a common practice again, with local brewers using local malt.